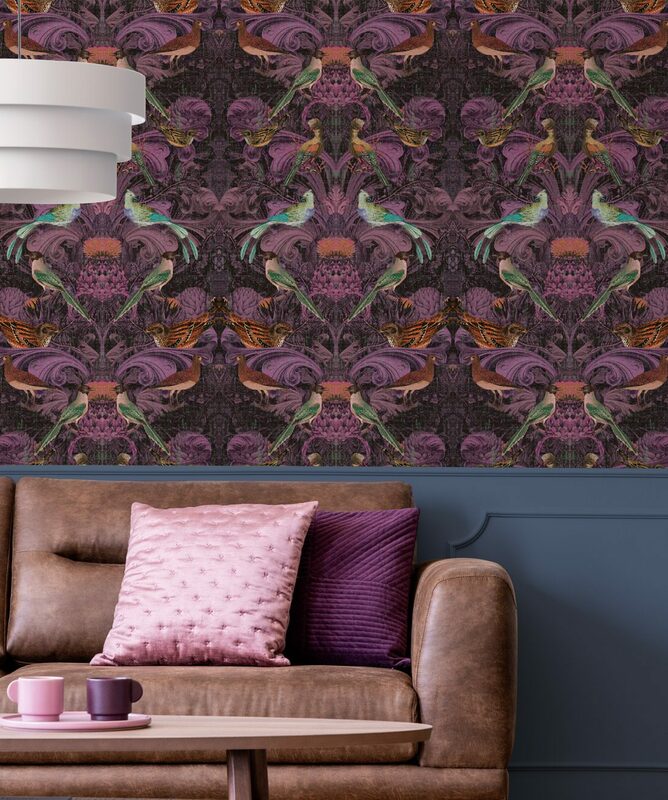 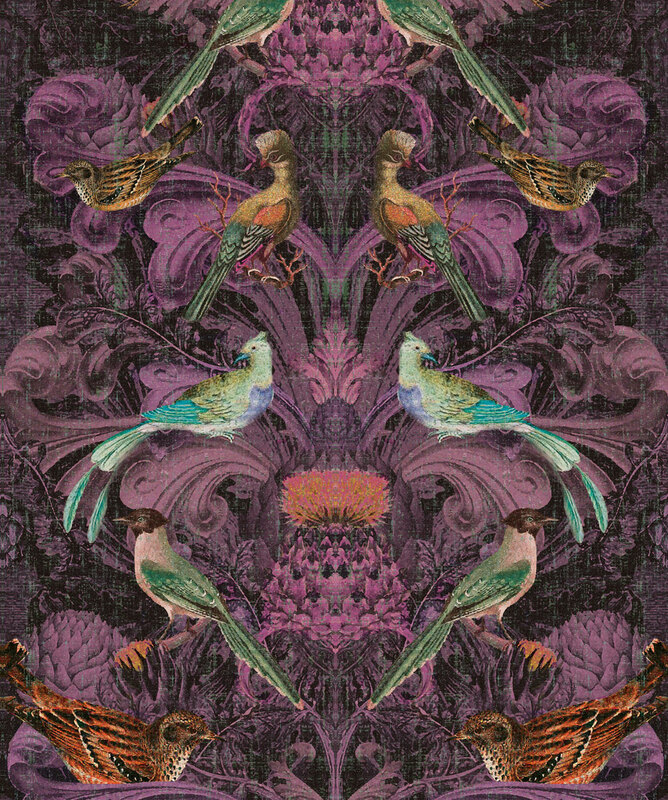 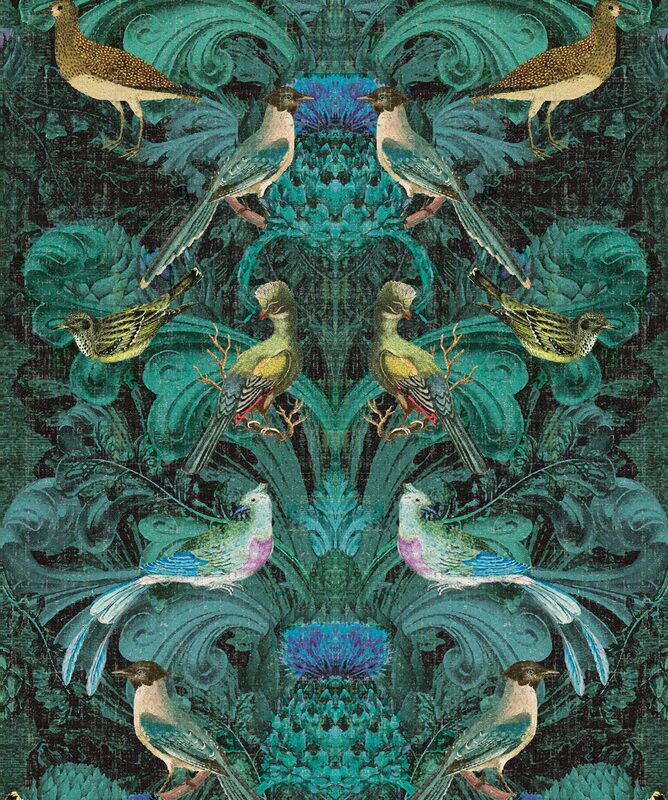 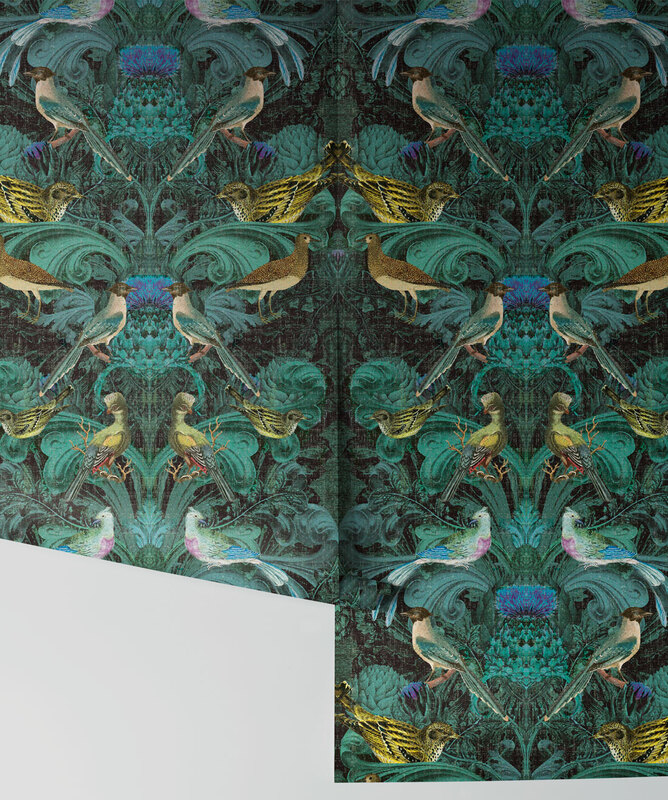 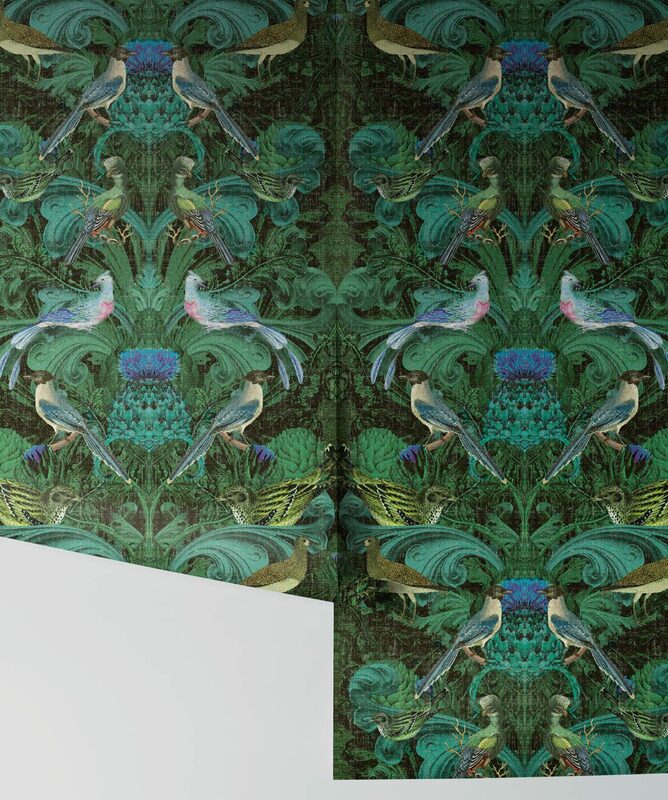 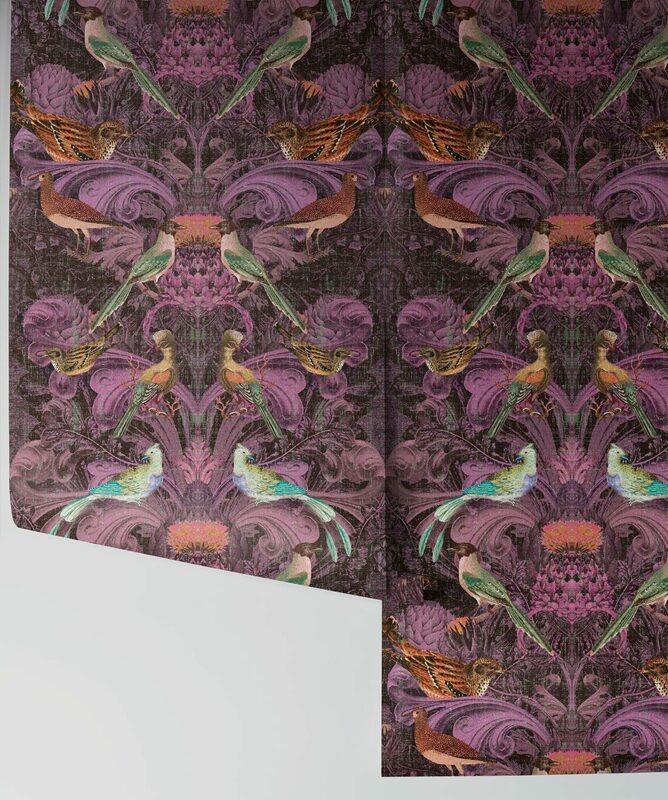 A modern baroque removable wallpaper design combined with a flamboyant avian theme. 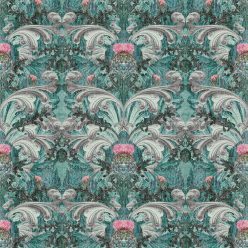 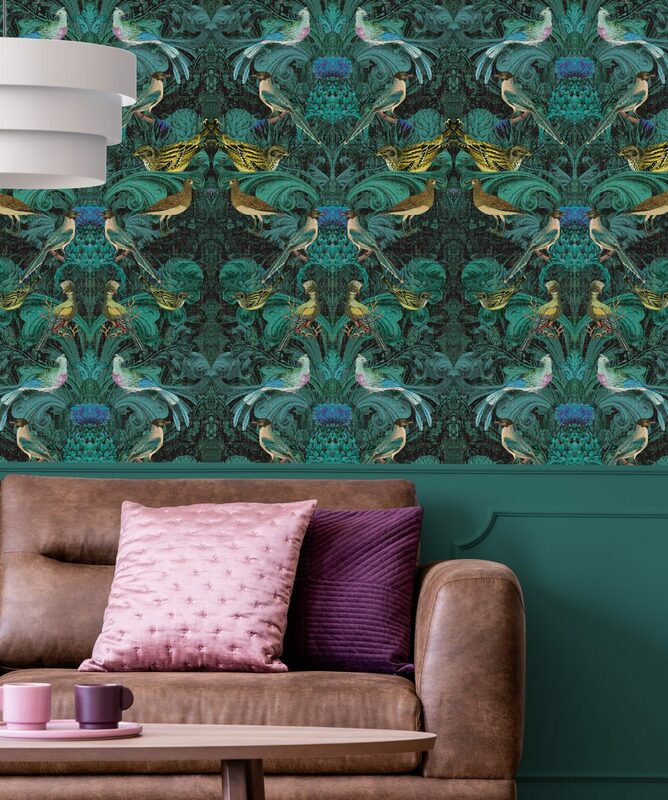 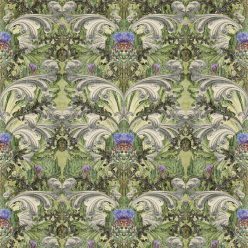 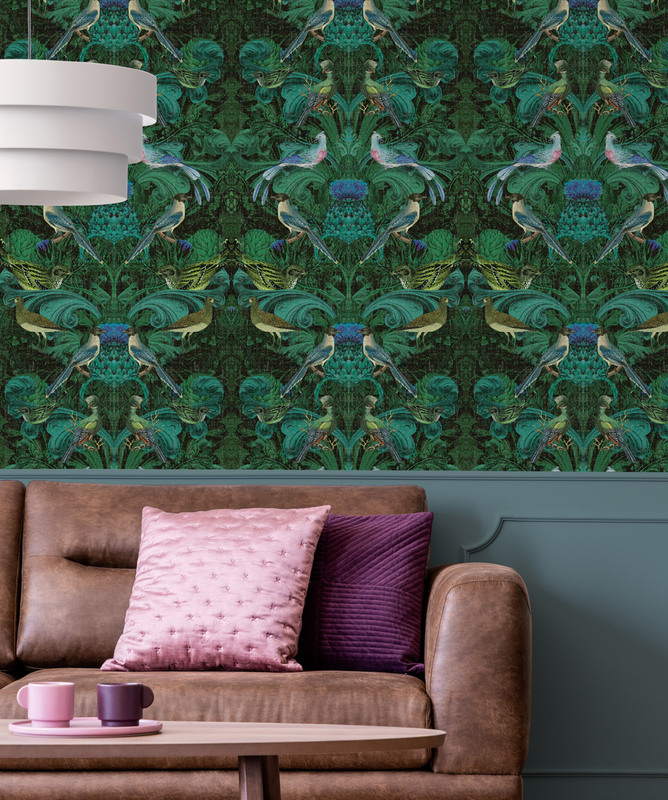 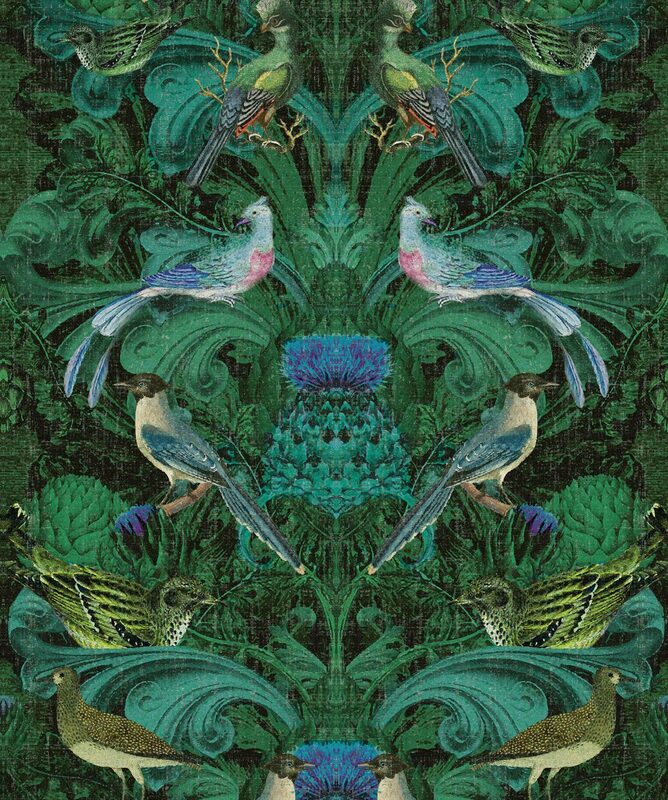 Decorative birds inspired by prints and etchings of a bygone era perched upon a dense and lush leafy background of roman acanthus leaves and stone baroque garden ornamentation. 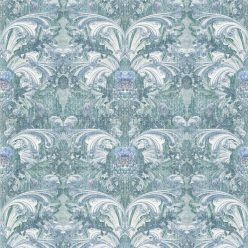 An eclectic take on a rich and exotic era of design incorporating a restrained mirroring effect within the background elements, bringing this design firmly into the now. 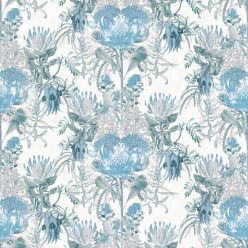 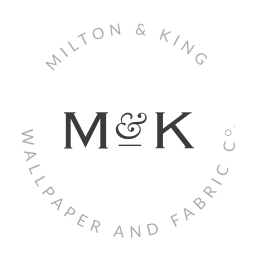 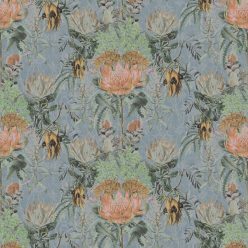 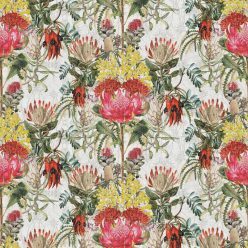 Originally inspired by the magnificent woodblocks prints of William Morris, a master of artistry, colour, form and particularly the design repeat. Reminiscent of baroque through to Victorian grandeur and opulence but with a modern interpretation. 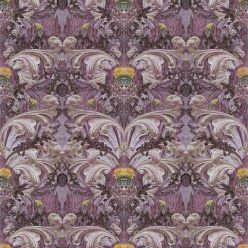 This design is available on our beautiful and durable wallpaper substrate.  Easy to install and easy to remove.